That crazy shifter mechanism is together! Over 20 parts make up this assembly and if you haven’t taken it apart yourself it can be a real challenge to figure out. After some research on the interwebs and finding a few videos on YouTube I managed to put all the pieces together in the right order. I have found the OEM parts breakdown drawings to be of help with things like this. 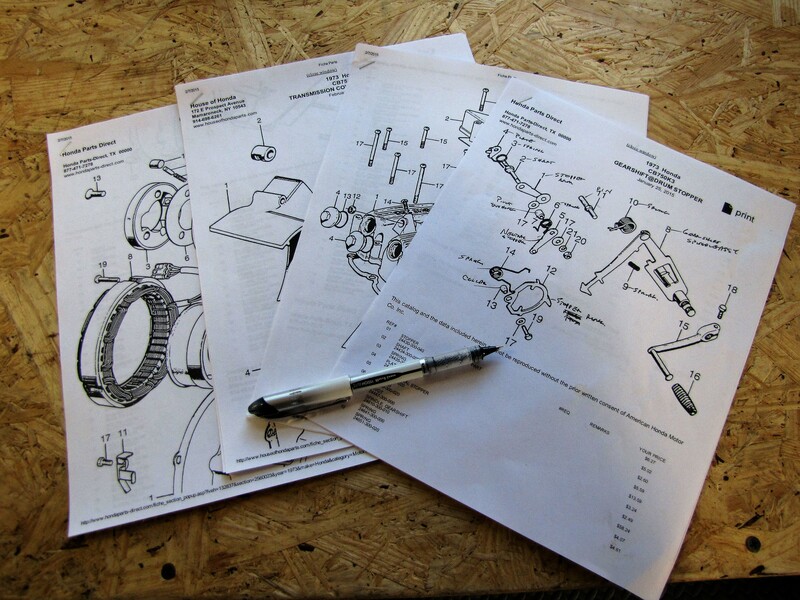 Most of the online parts suppliers use these drawings to help you identify parts when ordering. 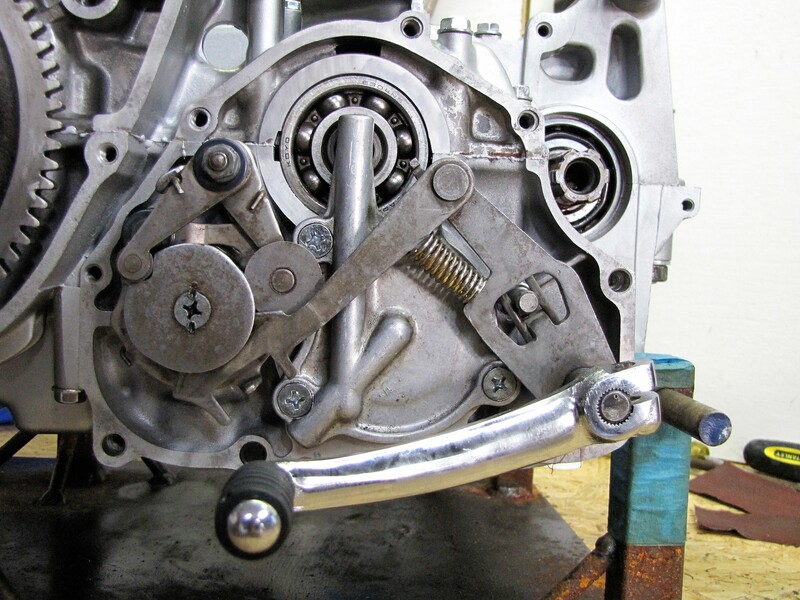 Here’s an example showing the “gearshift stopper” assembly. Here’s a picture of the completed assembly on the engine. I usually print these out along with the parts description pages to help me determine bolt and screw lengths as well. In this week’s video you can follow along step by step and see just how this whole thing goes together.